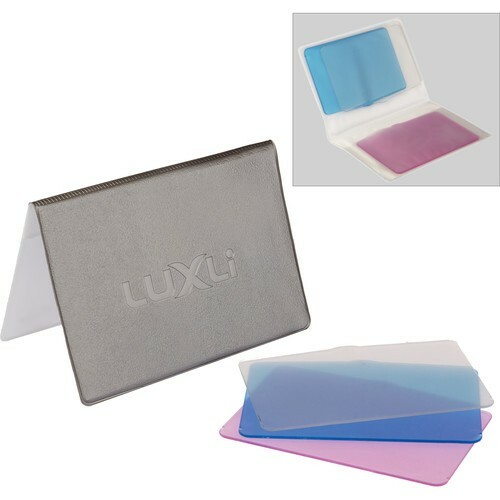 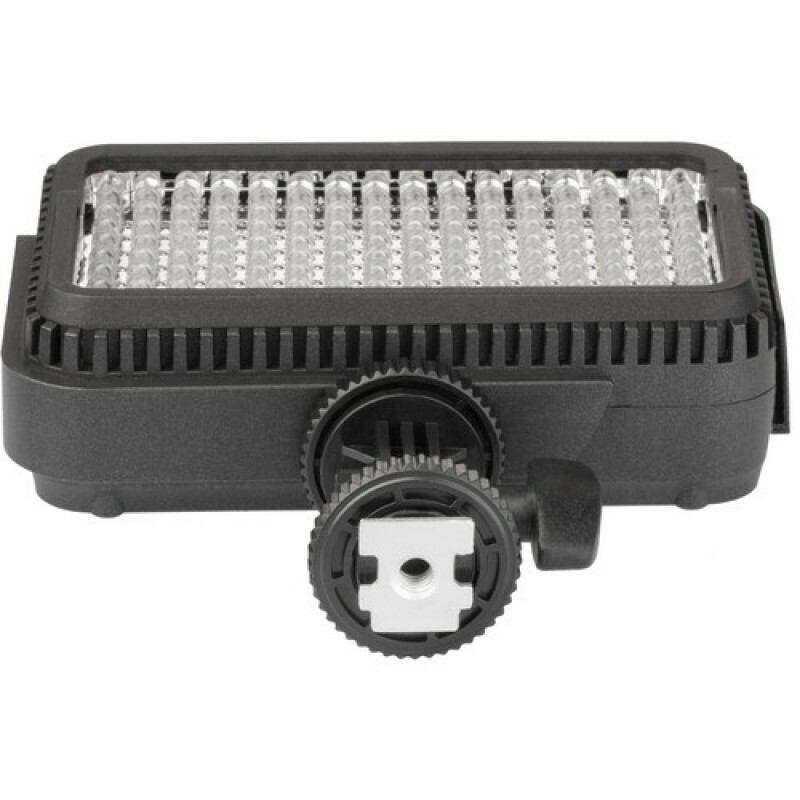 The CNS-40B Constructor Large Block Bi-Color On-Camera LED Light from Luxli is a compact on-camera light suitable for video and photo applications. 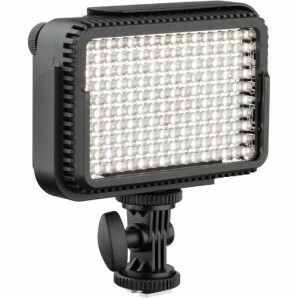 This variable color temperature unit can be adjusted between 3200 and 5400K, so you can easily use it with tungsten or daylight shooting scenarios. 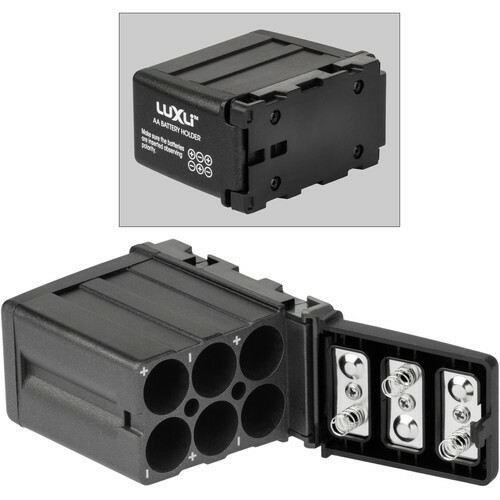 The interlocking wings of the unit allow you to mount optional Constructor series light to form a physically bigger array with greater light output. 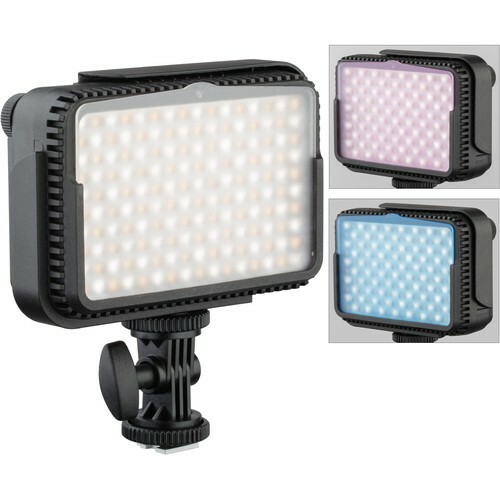 Included with the fixture are three filters, one a neutral diffusion as well as a minus green and cool blue filter for matching the light's output to the surrounding environment. 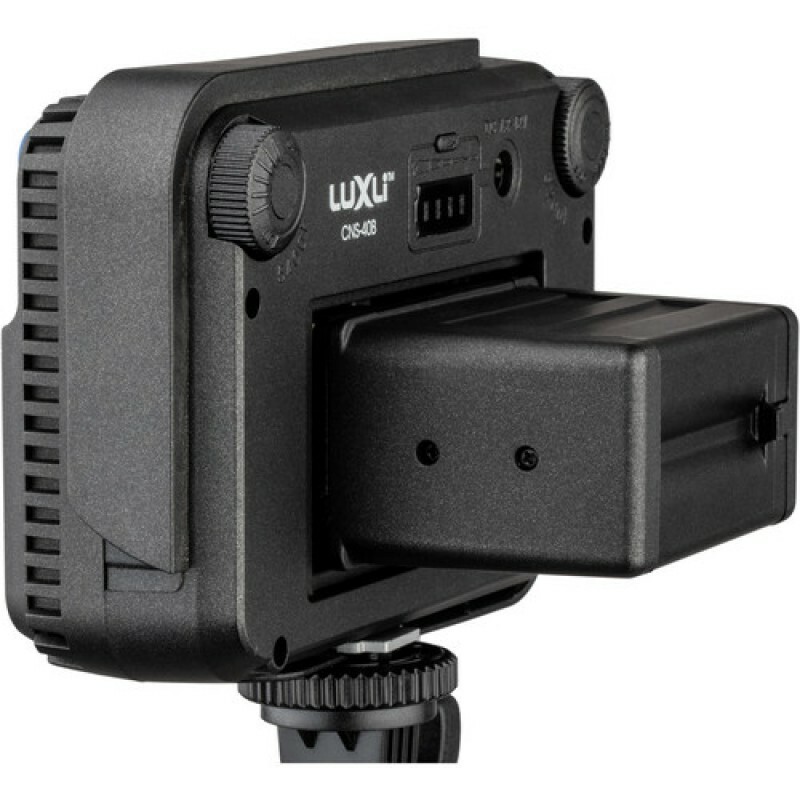 The CNS-40B incorporates a slot that accepts the included articulating shoe mount. 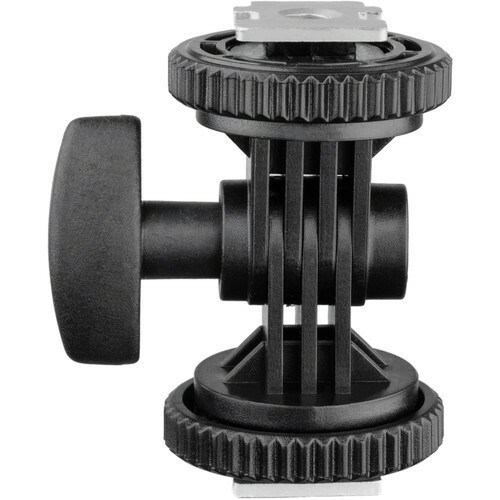 A 1/4"-20 threaded mounting hole is incorporated into one side of the mount, enabling you to attach it to either a cold shoe on your camera or use an optional accessory arm with 1/4"-20 threaded stud for mounting. 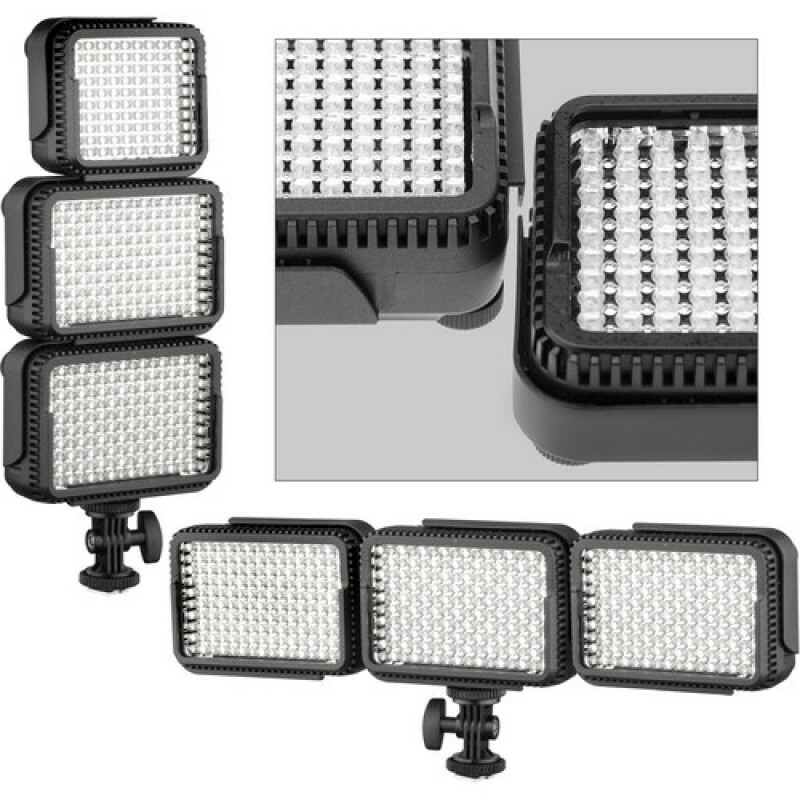 The fixture natively supports Sony L-series, M-series, and H-series batteries and includes adapters that allow you to power it from six-AA batteries or use a Panasonic D16/D28 battery for power. 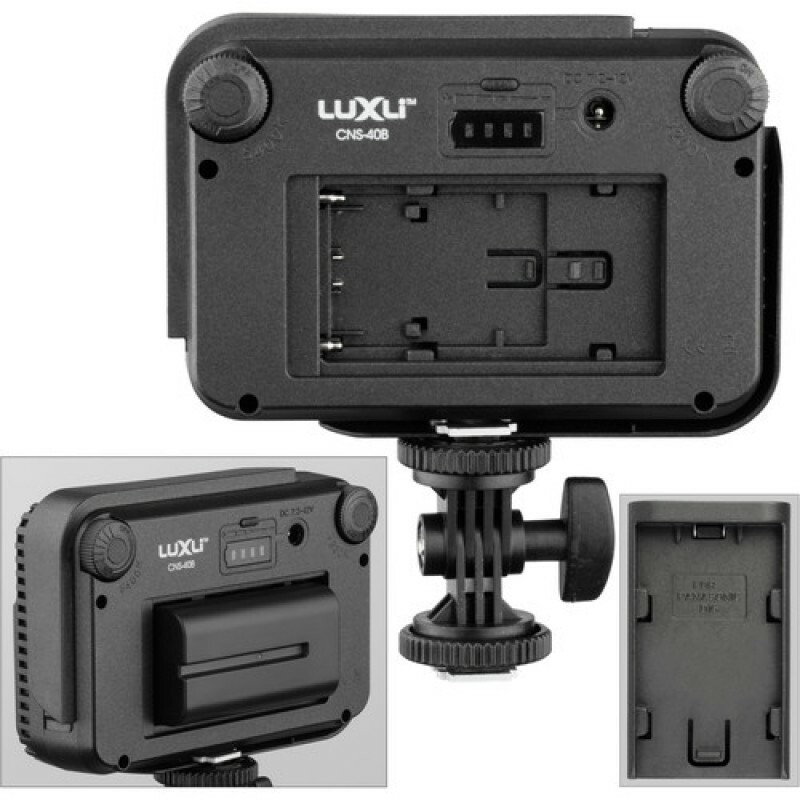 Built into the unit are an on/off dimming knob, a color temperature adjustment knob, and a four-LED battery gauge.